Monica Hirsch stayed behind to hug mourning students after a vigil in response to a shooting at a synagogue in Pittsburgh. Her cousin was among the victims of the shooting. 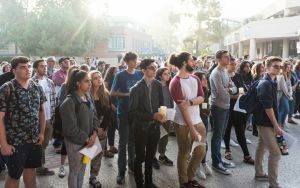 Hirsch, engagement associate of Hillel at UCLA, said she feels supported by the Jewish community in Los Angeles following the death of her cousin, despite being from Ohio. “I’m not from here, and I have been reached out to by every single person, and every single student,” Hirsch said. 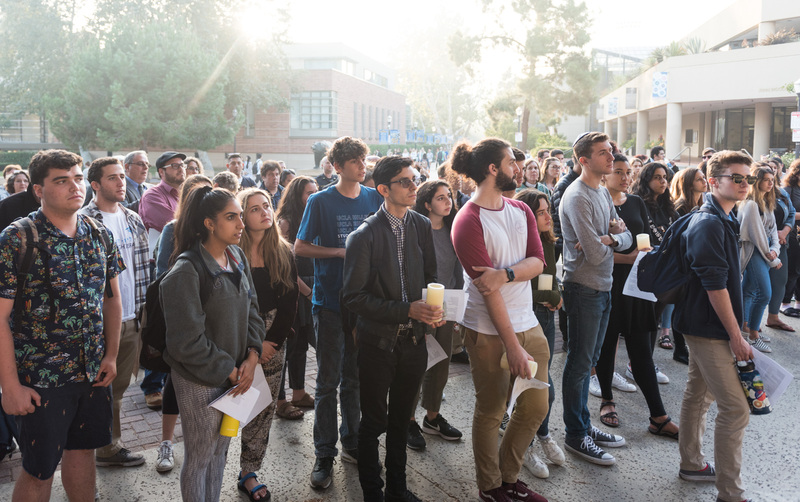 Roughly 150 members and allies of the UCLA Jewish community sang, prayed and offered solidarity at a vigil in Bruin Plaza on Monday. 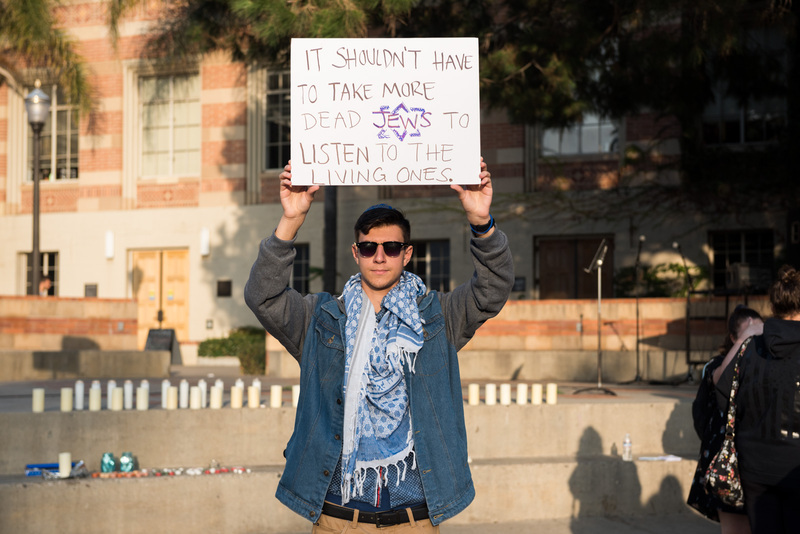 Speakers included Jewish leaders, student government officials and UCLA Chancellor Gene Block. 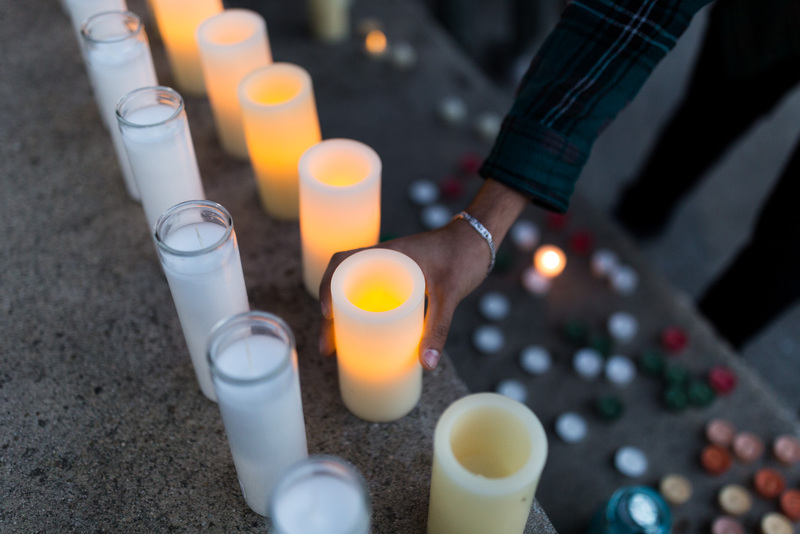 Eleven people were killed at The Tree of Life synagogue in Pittsburg on Saturday in an attack federal prosecutors have classified as an anti-Semitic hate crime. 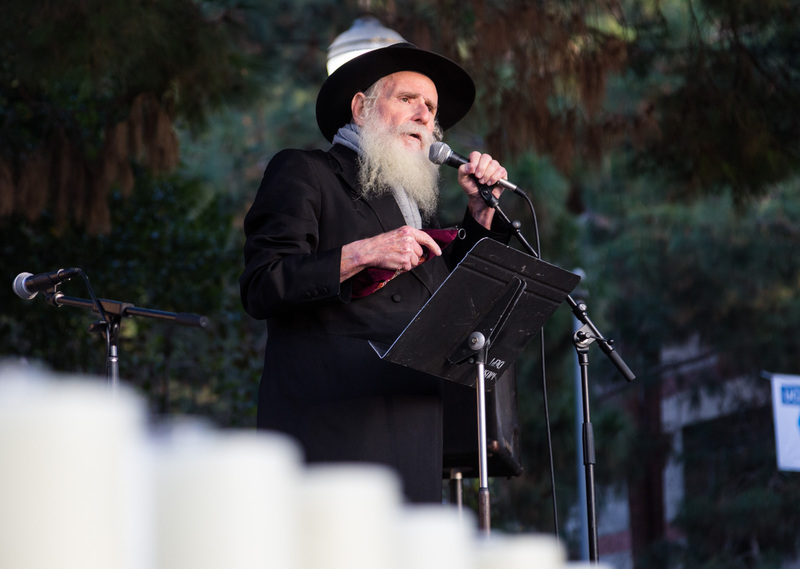 Rabbi Dovid Gurevich, director of Chabad at UCLA, said when someone in the Jewish faith abruptly passes away, their song is cut off. “We need to pick up their songs,” Gurevich said. Rocky Klein, a second-year mathematics student and Jewish educational chair at Hillel, led attendees in song. He said he was shocked to hear about the shooting because he was not personally familiar with violent religious discrimination. 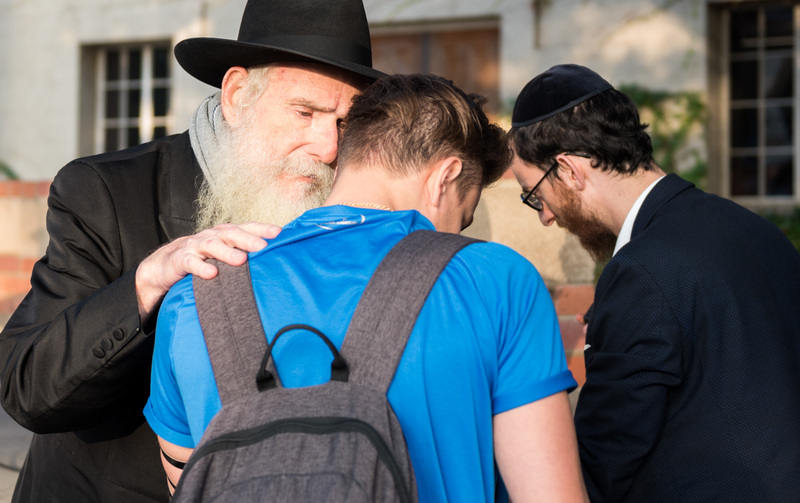 Justin Feldman, a third-year Middle Eastern studies and political science student, said he feels Jews are often dismissed when they try to identify modern anti-Semitism. He added attacks against Jews have been happening worldwide. “So with the resonance of these issues, it’s crucial for us to stand up loud and proud here on our own campus,” Feldman said. 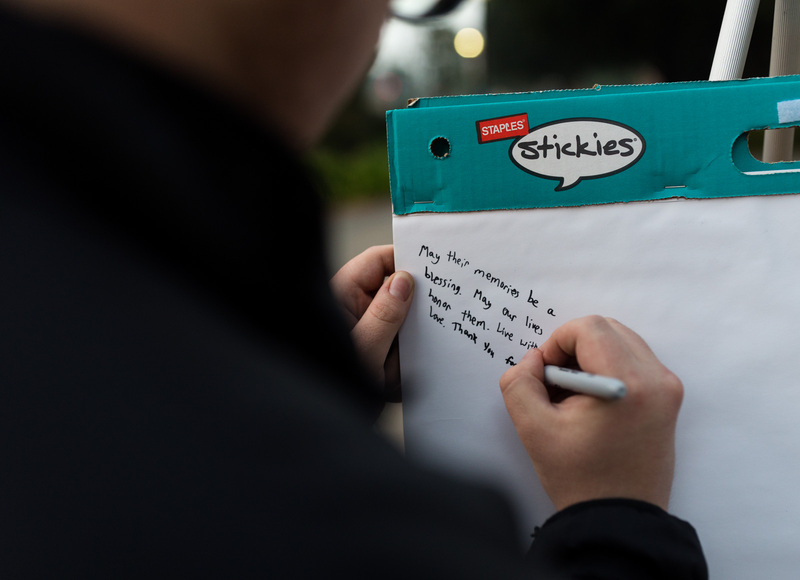 Michael Dayan, a member of Hillel and a fourth-year psychology student, said he hopes students will remember to include Jews in their understanding of intersectionality. Block spoke about tolerance at the event and urged students to not despair in a statement emailed to students. “All of us who value American ideals are diminished when reasoned discourse is sabotaged by tribal bigotry, and when thoughtful debate devolves into brutal violence,” Block said in the email statement. Klein said he felt Block’s appearance showed support for the Jewish community. Block declined to comment further following the event. Several speakers spoke out against the rise of hate crimes in America. Susan Klein, the rector of St. Alban’s Episcopal Church, specifically denounced the hatred perpetuated by right-wing extremists. Nina Nechamagilshteyn, a member of Students Supporting Israel at UCLA and a third-year biology student, said she appreciated the love and unity she felt at recent vigils for the shooting. “I think that’s very important right now because people are always finding blame for things that go wrong rather than taking steps to work together and move forward,” Nechamagilshteyn said. 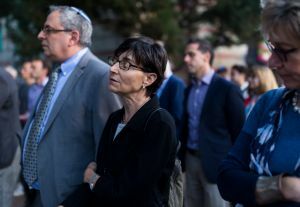 Jeanne Roe Smith, a campus minister and executive director of the Wesley Foundation serving UCLA, said she believes people must speak out against hatred and find common ground between faiths.